I was going to do another post about school stories I enjoyed as a child, and What Katy Did At School fell into that category. But then I got thinking about how I enjoyed the whole series of Katy books. In the first book, What Katy Did, we meet Katy as a twelve year old. She has six younger brothers and sisters. Her family expect her to set an example to her siblings, but she is a real wild child and has her head constantly in the clouds. Her one desire is to do something grand with her life. I always loved reading about all the pranks she got up to. Katy, however, meets with an unfortunate accident and becomes bed-ridden. For this active girl, it’s nothing short of a trauma, and the rest of the book deals with her coming to terms with the result of this, and her slow road to recovery. The thing I like about this book is the important lesson that one doesn’t have to do grand things in life to make a difference. While Katy was daydreaming, she didn’t see the opportunity to give her siblings the love and care they needed. When she had time for reflection, she became a more thoughtful character. In the second book, What Katy Did At School, Katy and her sister Clover go to boarding school, primarily so that Katy can catch up on the education she missed while she was ill. As the series is set in America, I had no real concept of where any of the places involved were, and found the descriptions of the distance and different climates involved fascinating. Katy and Clover make many new friends at school, and the antics of the school girls are great fun. The stand out character is Rose Red, a cheeky minx of a girl, always up to some kind of mischief. Katy seems to turn into a bit of a goody-goody in this book, to be honest, and comes over as very prim and proper. However, the pranks and good-hearted fun mean there is plenty to enjoy. 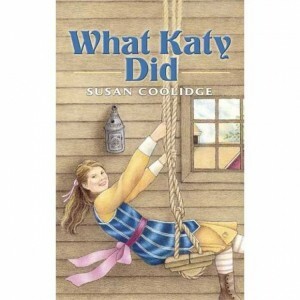 The third book, What Katy Did Next, was one I didn’t enjoy until a little later in life. Late teens, I suppose. Kate is now a grown-up, and is invited on a six-month trip to Europe with her neighbour and the neighbour’s daughter. This book was a bit piecemeal as we follow Katy’s travels around various European countries. Being from England, I was always slightly cheesed off at the disparaging description of England, where they basically glimpsed a few churches through the rain, and said that English muffins tasted like rounds cut from an ironing board! But as soon as they hit France, everything was much nicer! This is the book where Katy meets the man of her dreams. The romance element is very gentle, but nicely done. The gentleman in question falls in love with Katy because of her caring nature, despite her plain looks, and it’s actually quite heart-warming. The fourth book, Clover, obviously follows the second sister. In the first few chapters, Katy is married off. Rose Red makes a final appearance, with her small child. The book then follows the adventures of Clover, who is tasked with travelling far away with her youngest brother, Phil, for the sake of his health. They end up in Colorado. Again, not being from the US, I had no particular idea of what this meant in practical terms, but I understood that the high elevation is meant to be good for the health. The descriptions of the surrounding countryside in this book fascinated me as a teenager. I wasn’t really into flowery books, but the scenery sounded weird and cool at the same time. Clover meets a new cast of friends who help her out with her brother, and of course, has her own little romance, with three ‘Clover-leaves’ to choose between! The fifth, and final, book, In The High Valley, was one I only discovered the existence of a few years ago. I was very excited to realise there was such a thing and I’d never even heard of it! But unfortunately it didn’t live up to expectations. It focuses on an English brother and sister who emigrate to the very place where Clover lives. 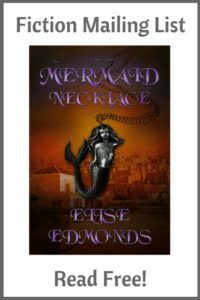 It feels rushed compared to the previous books, and the new characters are not as well drawn. The author also suffers from matchmaker syndrome and feels the need to desperately pair every one up by the end of the book! Katy, of course, makes a final appearance. Nevertheless, it was good to read the final book, to see how the story finished off! The first two books were the ones that made the biggest impression on me. I think, probably because it’s here that the biggest character development happens. After Katy recovers from her illness, nothing much changes for her. She is well-loved by her family, and doesn’t put a foot wrong again. The Europe trip is almost a series of vignettes. So I think children will enjoy the first two books the most, and those who like a gentle romance will probably prefer Clover. I suppose books like this seem rather dated these days, but for me, the old children’s classics will never lose their magic. I believe that the first two books will help my other story because I have a character who is somehow like Katy but after an accident, he’s going to undergo several changes.